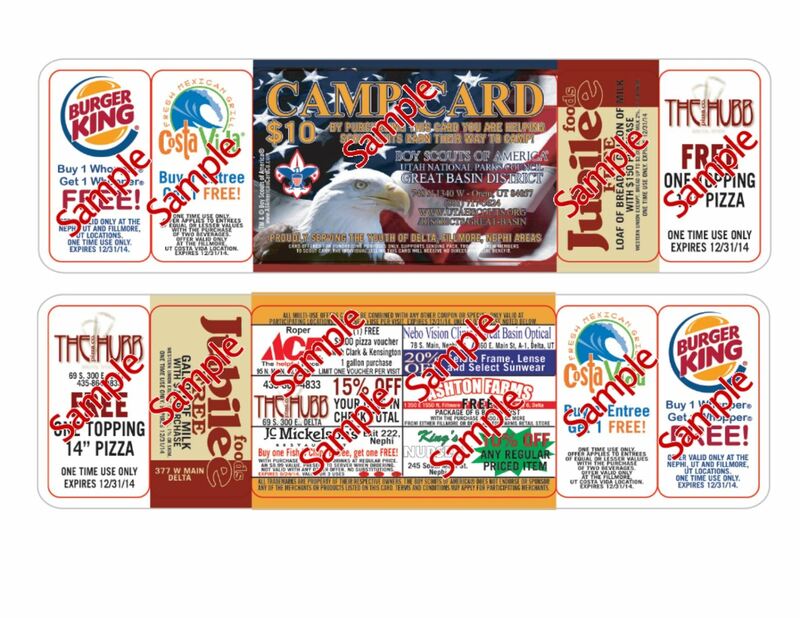 We are pleased to announce the Great Basin District’s Camp Cards (see sample below)! We are now taking orders for the number of camp cards each person or unit wish to order to sell. Every $10.00 card sold gives the selling Scout a $5.00 CREDIT towards SUMMER CAMP, 2014 FILLMORE STAKE ENCAMPMENT or TIMBERLINE Leadership Training!!! EVERYONE wins with these cards! The Scouts get 50% of the sales as credit to camp! The purchaser gets a valuable retail card worth potentially over $100.00 in savings and FREE products! The businesses get you to come visit them! 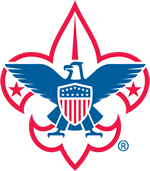 The Great Basin District gets $3.50 towards Scouting in our district! Contact Dave Johnson and let him know how many cards you would like and let’s get ready to sell and save!